Go to google.com/analytics, sign-in with your Google account and select the Admin tab. 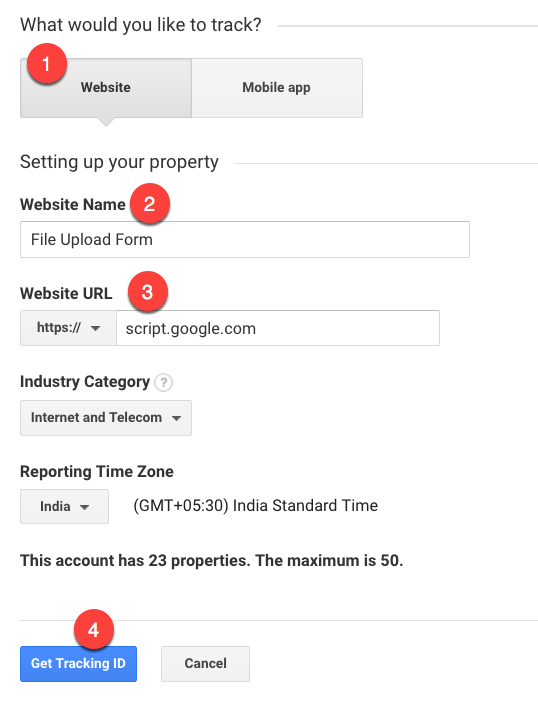 Select Website for Website or Mobile app, enter the Form Title for the website name and put https://script.google.com in the website URL field. 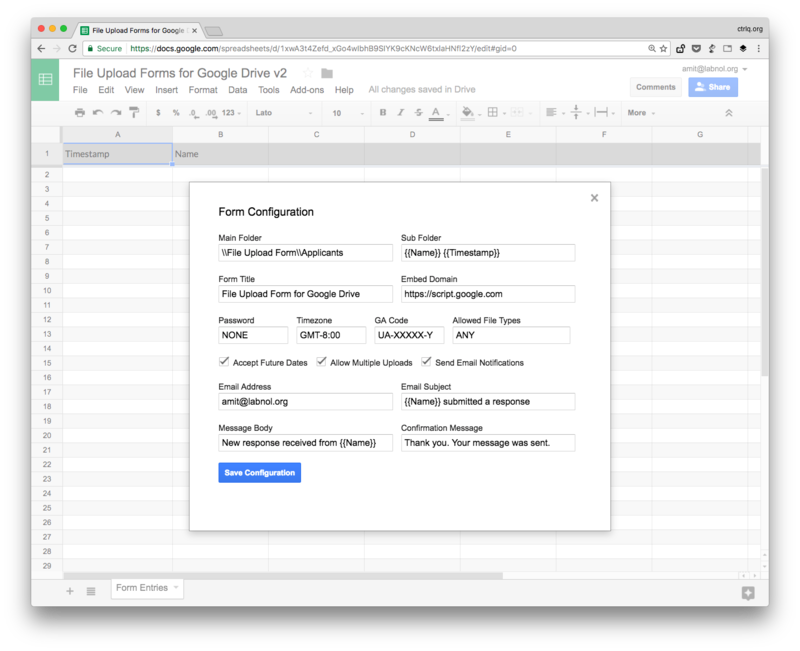 Open the Google Spreadsheet associated with you web form, go to Addons > File Upload Form > Settings and add the tracking id in the GA code field (see screenshot). With the Real-Time reports, you can monitor user activity as it happens.